New Paper Animal Decoration gift sets, a fantastic gift. 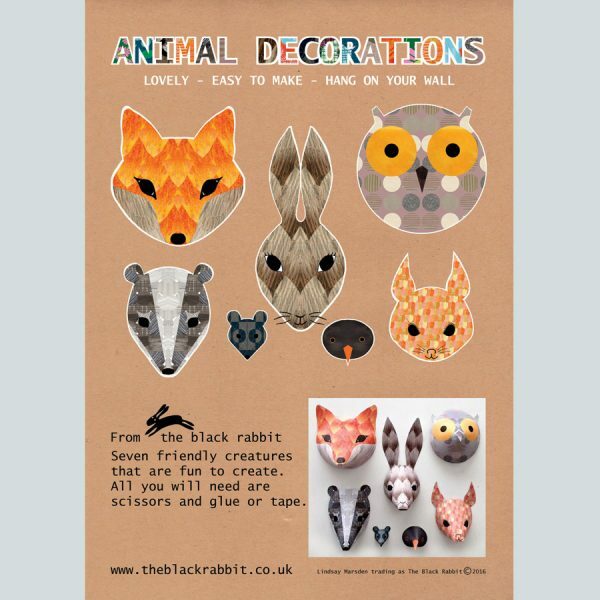 Children will enjoy making them and parents will love the way they look on the kids’ bedroom wall. 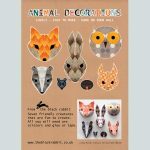 Each pack contains five quality A4 prints from which the seven friendly woodland creatures can be cut out and made in to striking wall decorations. 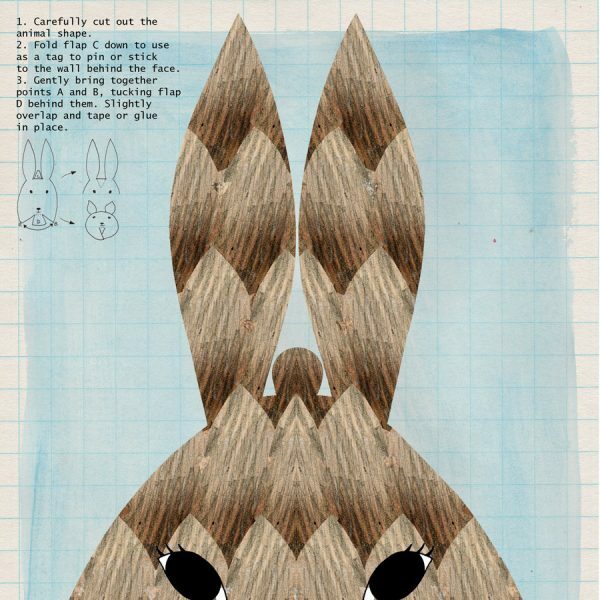 They are easy to make, each design being based on a cone shape, simply cut them out, fold and stick at the bottom. 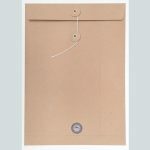 A fold down tab on the top allows them to be easily pinned or stuck to the wall. 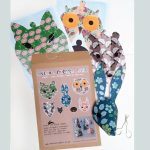 This set is the ‘woodland natural’ design, using natural colours in the pattern designs for each animal. You can find other designs in the range – ‘woodland floral’ and ‘floral rabbits’ sets on the gifts page. 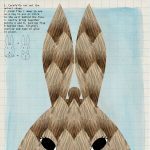 They have been designed by Lindsay Marsden, the textile designer who is the creator of The Black Rabbit. Lindsay has applied her love of colour and pattern to each print that decorates the animal faces to make them a fabulous compliment to contemporary and traditional room decor. 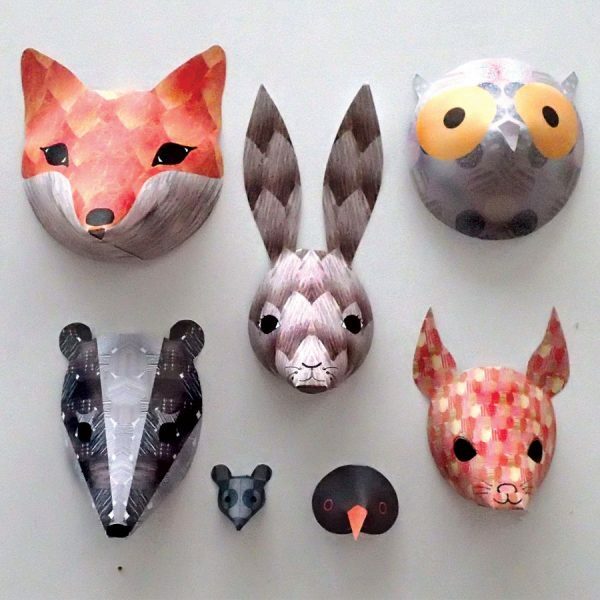 The fox, rabbit, badger and friends make a great children’s gift being ideal for those aged seven and up. Little hands will find the cutting easy, and parents will find the resulting decorations a pleasing interior accessory that will suit both boys and girls rooms. 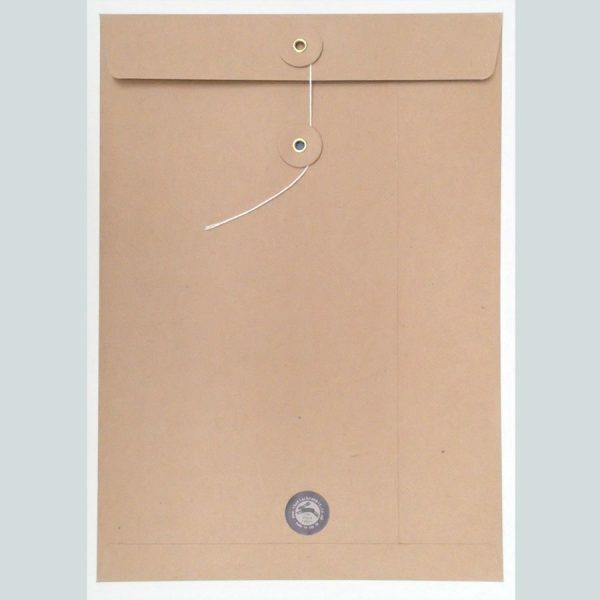 They are packaged in a special ‘string and washer’ sealed envelope and the instructions are clearly printed next to each animal shape. Easily wrapped and posted, they are an easy giving gift!